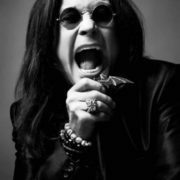 Ozzy Osbourne is a British rock singer, musician, co-founder and member of the band Black Sabbath, which has had a significant impact on such musical styles as hard rock and heavy metal. 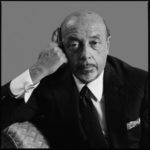 The success of his career and popularity earned him the unofficial title Godfather of heavy metal. After leaving Black Sabbath he began a solo career. 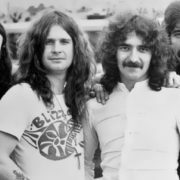 As a member of the group Black Sabbath Osborne was inducted into the Rock and Roll Hall of Fame and he was also inducted into the UK Music Hall of Fame as a group member and a solo artist. Osborne has a star on the Hollywood Walk of Fame and on the Walk of Stars in Birmingham. In 2014 he won the MTV Europe Music Award in the category Global Icon. In the early 2000s, he took part in a reality show about his life on MTV. 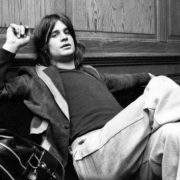 His solo albums Blizzard of Ozz and No More Tears received platinum status four times. 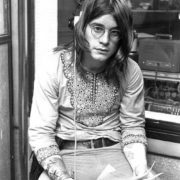 John Michael Osbourne (his real name) was born on December 3, 1948 in Birmingham. He became the fourth of six children in a family. 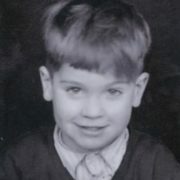 The boy was nicknamed Ozzy at school. At the age of 15 Osborne was expelled from school because of bad financial condition in the family. The future rock musician got a job as a plumber assistant. 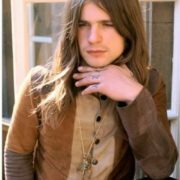 Subsequently Ozzy tried to work as a mechanic assistant, a car mechanic, a painter and even a gravedigger. 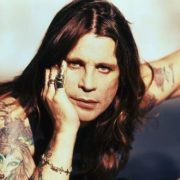 Once he stole something and was in the Birmingham jail, where he made his famous tattoo OZZY on his knuckles. 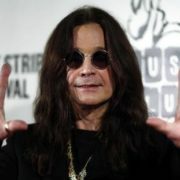 Then Ozzy decided to try his hand in music. 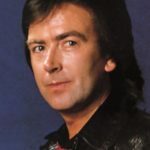 He became a vocalist in the band Music Machine. Subsequently, he decided to found his own group which was named The Polka Tulk Blues Band. 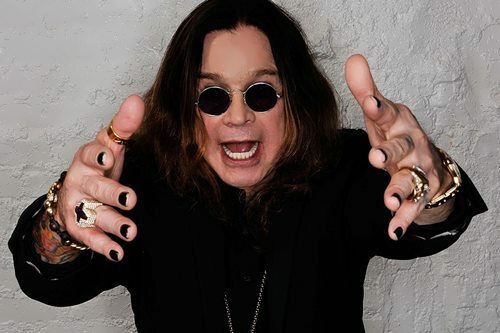 He placed an ad “Ozzy Zig Needs Gig” in a local music shop and became a member of Black Sabbath. Their first song was Black Sabbath, written under the impression of horror film in 1963. 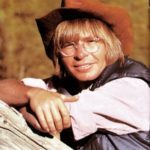 Prior to that, the band played cover versions of songs by other artists. From 1969 to 1970 the band played in different clubs. In January 1970, the group recorded the first album, which took good place in English and American charts. 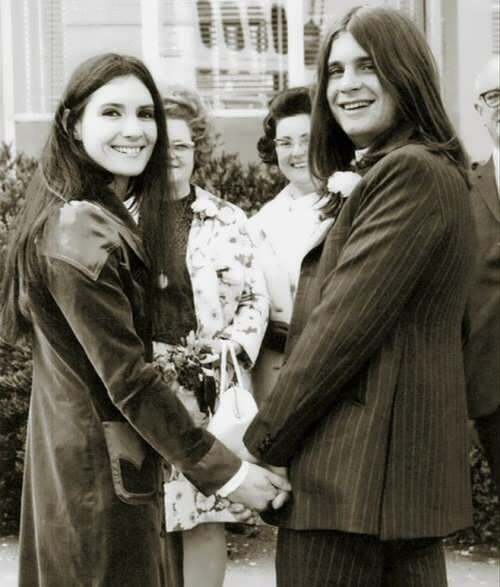 In 1971, Ozzy married Thelma Riley. In 1975 the band decided to change their manager. 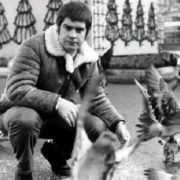 Don Arden, the father of Sharon (the future wife of the rock musician), became their new manager. 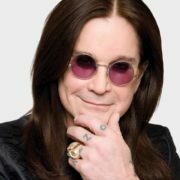 In 1977, Ozzy left Black Sabbath and Sharon Arden persuaded him to found a new group. They released their first album Blizzard of Ozz (1980) and went to a concert tour. The album was very popular. 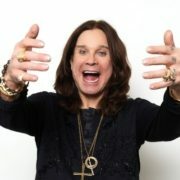 A year later, Ozzy and his band recorded their second album, Diary of a Madman. 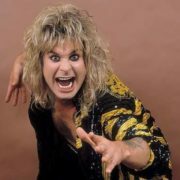 On January 20, 1982 Ozzy bit off the head of a bat during his performance at the Veterans Memorial Auditorium in Des Moines, Iowa. In 2004 Rolling Stone magazine put the incident in its list of Rock’s Wildest Myths. The song Rock’n’roll Rebel became the real rock anthem. 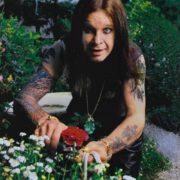 In 1986, Ozzy recorded the album The Ultimate Sin. In the same year he was arrested at Los Angeles airport. 19-year-old teenager shot himself being inspired by the song Suicide Solution. The prosecution contended that the song contained a special noise which hypnotized the listener. 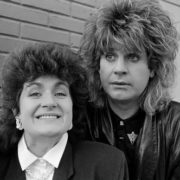 Osbourne’s lawyers were able to prove that there were no extraneous sounds on the record and the lyrics couldn’t be the subject of the claim. On March 19, 1987 he released the album Randy Rhoad’s Tribute. No Rest for the Wicked was the next album. 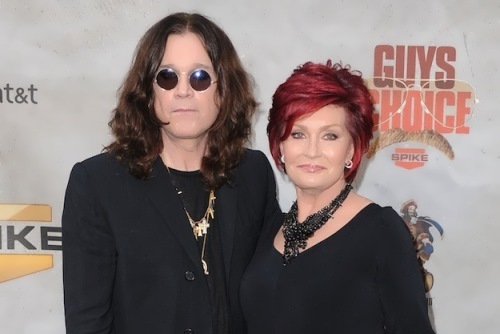 Sharon, Ozzy’s wife, became the group manager and helped the musician to get rid of alcohol addiction. 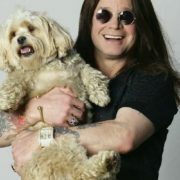 In the film The Decline of Western Civilization: The Metal Years Ozzy appeared in the role of a sober householder. 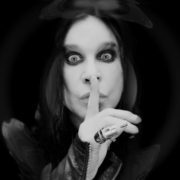 In the song Demon Alcohol Ozzy talks about the fight against alcohol addiction. 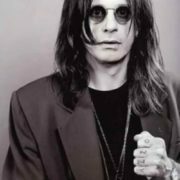 In 1991, Ozzy released the album No More Tears, but he gave concerts without the usual enthusiasm. 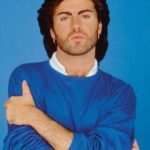 In 1992 he announced the end of an active musical activity. 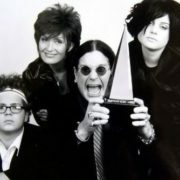 In 1994, after a long break, Ozzy announced the release of a new album. 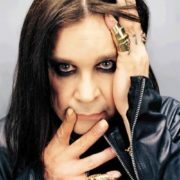 In 1995, Ozzy with the participation of Rick Wakeman and Zach Wilde recorded the album Ozzmosis. 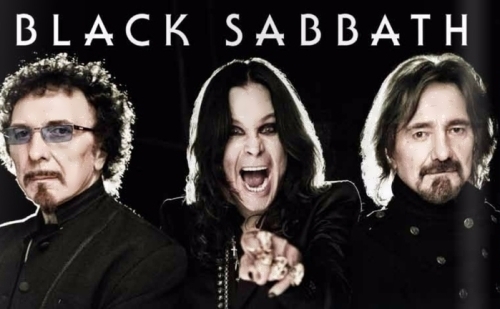 In 1997, Black Sabbath reunited and arranged international tour. 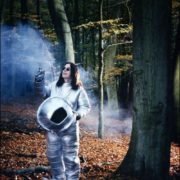 Two new songs were recorded, but the promised album was never released. On June 22, 2010 his tenth solo album Scream was released. In October 2010, Osborne recorded a cover version of John Lennon’s song How? dedicated to the 70th anniversary of the singer. Ozzfest is a festival founded by Ozzy. Judas Priest, Linkin Park, Slayer, Superjoint Ritual, Dimmu Borgir, System of a Down, KoRn, Slipknot, Marilyn Manson, Metallica, Godsmack alongside Black Sabbath took part in Ozzfest 2004. 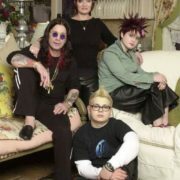 On May 19, 2002 The Osbournes, the show about Ozzy Osbourne and his family, was released. At the age of 21, he married Thelma Riley, who gave birth to two children. 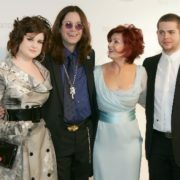 Osbourne also adopted Thelma’s son from her first marriage. They divorced in 1981. 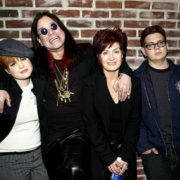 On July 4, 1982 he married Sharon Osbourne. They have three children – Aimee, Kelly and Jack.